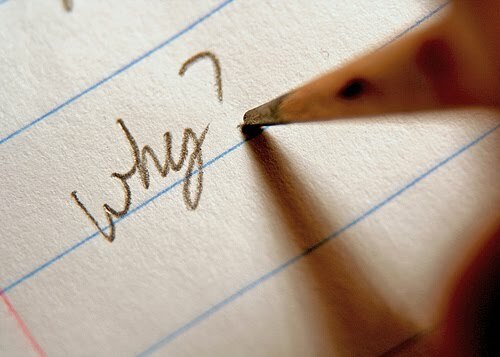 My children are in the “why” stage. I believe this. I’ve experienced it before. Not as frequently as I would like, but enough to know there is no other path for me. I cannot force my children to have this experience, but as parents, it is me and my wife’s responsibility to create such an environment. We can begin by explaining the meanings of the shabads we listen to…even without their asking. I realize that sounds daunting, as it does for me too. 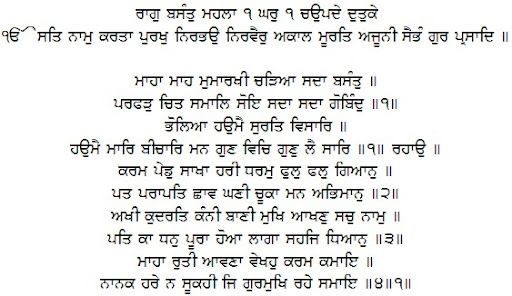 But say for a shabad like “Tera Keeya Meeta Lagae” perhaps all I need to explain is the line “Guru Meray Sang Sada Hai Naaley” (My Guru is always with me, near at hand)…what a wonderful thought a child can go to sleep with. Maybe by continuously providing these themes, our children will be inclined to start asking on their own. My hope is that a child who has a desire to understand gurbani eventually becomes an adult who has a desire to understand gurbani. All the Sikh parents I know have their own approach when it comes to gurmat education. Some leave it to the khalsa schools and camps to guide their children’s Sikhi, after all, it’s more than what we had. Others focus on the daily and weekly rituals and instilling pride in their children, while deeper concepts of gurmat can wait until later. Which is the right approach…who knows? But I do know when I sit and talk to some of those youngsters who’ve moved beyond their doubts and formalized their commitment to the Guru…those who I would consider role models for my children and ask them what inspired them, there is a commonality amongst their answers – they all talk about their parents. How their parents inspired them, guided them, and taught them – not as much in what they said…but in what they did. So in the end…it’s on my wife and I to set that example. Some have asked me…why does it matter? Why are you so concerned? Your children will eventually make their own choices in life. No matter what you do; it may never be enough…there are no guarantees. And they are right – there are no guarantees. On this journey of the Guru’s path I’ve come across such beautiful moments of inspiration, glimpses of humanity’s wholeness, and a completeness with the divine that I can barely articulate. So I would be remiss if I did not try to foster an environment for my children to get to know Guru Nanak. And for those who question why it matters, I can only respond…how could it not? 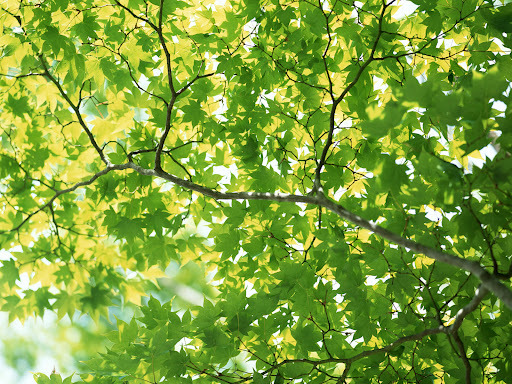 And for a split second, I find myself lying under a tree. Among the months, blessed is this month, when spring always comes. Blossom forth, O my consciousness, contemplating the Lord of the Universe, forever and ever. O ignorant one, forget your egotistical intellect. Subdue your ego, and contemplate Him in your mind; gather in the virtues of the Sublime, Virtuous Lord. Pause. Karma is the tree, the Lord’s Name the branches, Dharmic faith the flowers, and spiritual wisdom the fruit. Realization of the Lord are the leaves, and eradication of the pride of the mind is the shade. Whoever sees the Lord’s Creative Power with his eyes, and hears the Guru’s Bani with his ears, and utters the True Name with his mouth, attains the perfect wealth of honor, and intuitively focuses his meditation on the Lord. The months and the seasons come; see, and do your deeds. O Nanak, those Gurmukhs who remain merged in the Lord do not wither away; they remain green forever.